It’s successor time for Micromax as Canvas Spark 3 was spotted listed on the company’s website. It will be successor to Canvas Spark 2 smartphone which was launched in September 2015 and it’s well over six months now. 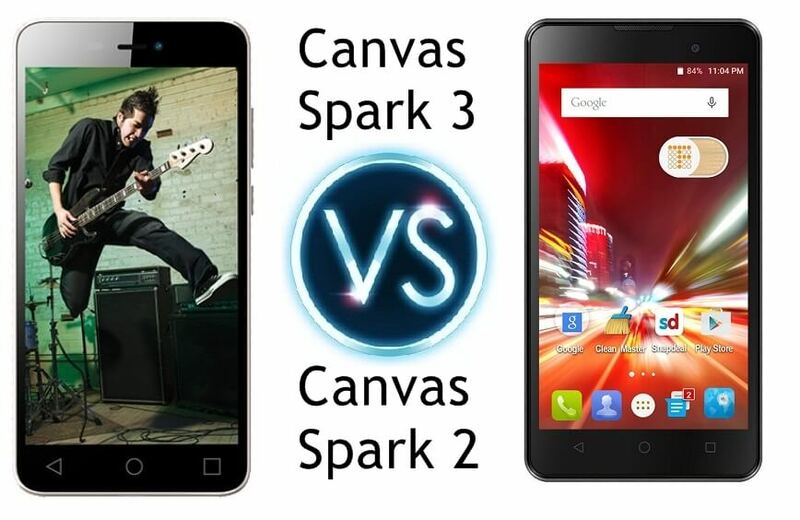 You will be much eager to know what’s new or improved in the new Canvas Spark 3 and to make it easy for you we have come up with Canvas Spark 3 vs Canvas Spark 2 comparison in terms of technical specifications. Front camera on Canvas Spark 3 is better than on Canvas Spark 2. Does has the same processor but RAM size is now increased to 1 GB. Internal storage is also increased to 8 GB total. The Canvas Spark 2 is not available online right now which means Canvas Spark 3 is due launch very soon. We are hoping to see it’s price at nothing more than Rs 5000.